Three months, room and board, all outstanding bills taken care of. Complimentary magical aptitude. Absolutely no catch. Becoming a witch takes a lot of hard work, and not everyone has the resources to devote themselves to such a grueling process. 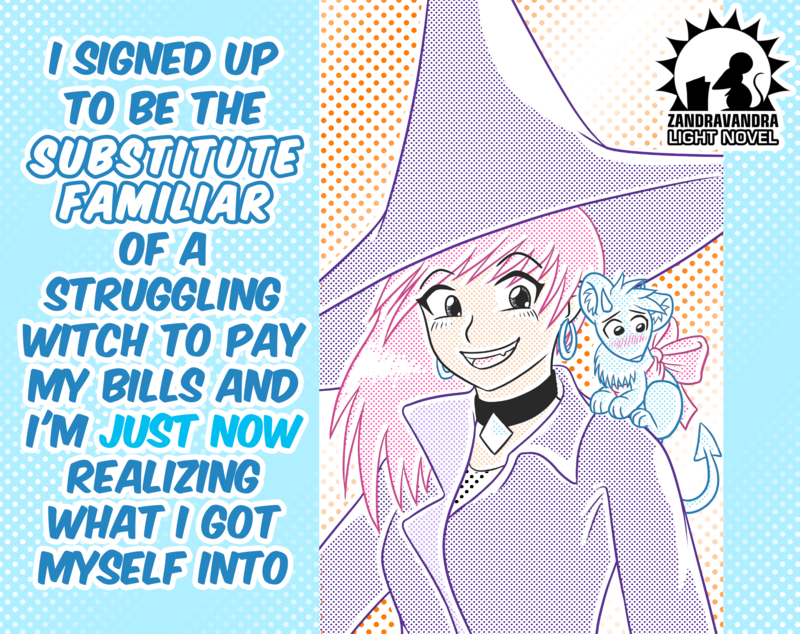 But thankfully, magic isn’t completely unattainable! Witches need familiars in order to thrive, and sometimes the best candidate for the job is in the neighborhood instead of through a portal to the otherworld. But what happens when you try on a new life and realize it fits you better than your old one? What do you do when it comes with an expiration date? 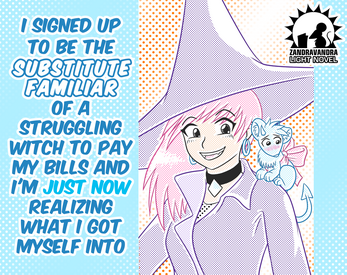 Substitute Familiar is the most worldbuilding-heavy light novel I’ve written yet, depicting a modern world with magic, demons, and folks trying to make it work. It’s about getting the chance to try something you’ve wanted to do for a long time, and all the unforeseen consequences that come with it. It also has a lot of self-actualization, girls kissing girls, and gender feels, because that’s what I do! This is a light novel of 96 pages with 11 interior black & white illustrations. Want to get a sneak peek? Download the free demo to read the first two chapters! hi zandra - my birthday's coming up soon; are print copies still available? Yup! They're currently available as extras on my current Feline Therapy kickstarter but they should be up on my shop soon! Well, that was just excessively adorable. Any chance of a sequel, or other expansion on the setting? okay, I found this one to be pretty insufferably adorable. Aaaaaa, this was so good!